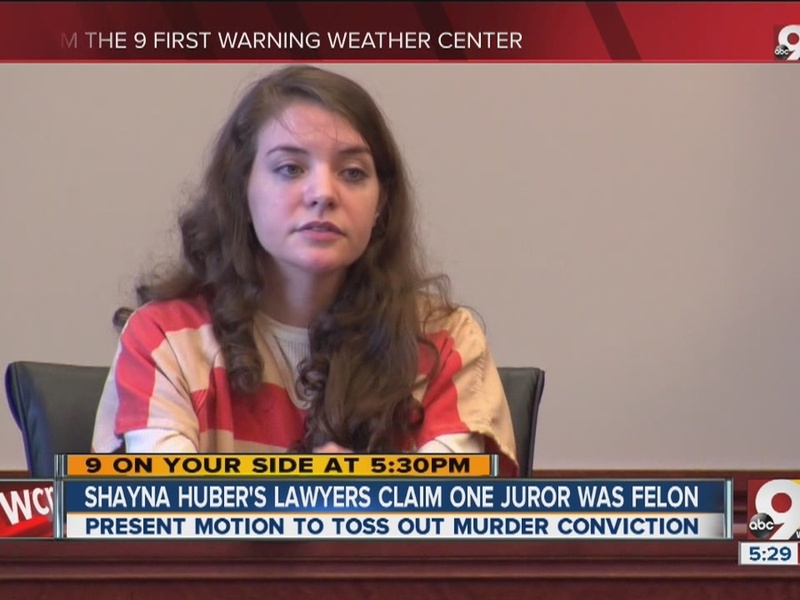 NEWPORT, Ky. – The attorneys for Shayna Hubers are asking for a new trial after discovering a convicted felon served on the jury that found her guilty, according to a motion filed Friday. Hubers, 24, was convicted last year of killing her former boyfriend. A judge sentenced her in August to 40 years in prison. She was ordered to serve a minimum of 85 percent of the sentence, meaning she would not be eligible for parole for 34 years. But that may not be the end of Hubers’ story. According to a motion filed in Campbell County Circuit Court, Juror No. 483 did not disclose he was a convicted felon – and therefore, was not qualified to serve on a jury. The motion, filed by Hubers’ attorneys, states this significant detail is just coming to light now. The court, the court clerk, the commonwealth and Hubers’ previous lawyers were not aware of the juror’s felon status, her attorneys said. The detail wasn’t discovered until her current attorneys inspected a jury questionnaire form on Jan. 14, the motion states. Hubers’ attorneys said it is not clear if Juror No. 483 received a pardon from the Kentucky’s governor, or has had his right to serve as a juror restored to him in any way. Hubers admitted to police she shot Ryan Poston six times in his Highland Heights condominium in 2012; she was found guilty of murder in April after a two-week trial. Poston’s family said they are unable to comment about the merits of Hubers’ request for a new trial. We again express our unwavering confidence in the office of the Campbell County Prosecutor and all those public servants who worked so diligently to hold this convicted murderer accountable. Lastly, regardless of the procedural outcome, we are steadfast and absolute in our resolve and determination to protect and defend Ryan’s memory and to hold the perpetrator of this unspeakable crime responsible. During her sentencing, Hubers claimed she was a victim of domestic violence, hoping for an earlier parole. But Campbell County Circuit Court Judge Fred Stine didn't buy it, stating there was no evidence Hubers and Poston were an established, live-in couple at the time of his death. "I listened to everything that was said in here, and I never heard a word or a look that said 'I'm sorry' to these people back here," Stine said.